We've got everything from the fiber arts, to gardening, to Goddesses, to essential oils and more. Keep scrolling to see the course offerings. Pop in your email and get some Spinster magic delivered twice a month to your inbox. Bonus! Access to our private Facebook Group. We respect your privacy. No selling, no sharing. Thank you for registering for our newsletter, The Spinning Wheel. Please join our Facebook Group, The Homesteader's Crafty Cooperative. Discover the eternal thread which binds the magic of The Goddess and the magic of fiber work. Spinning, weaving and knitting; their origins go back to mythological times. Nearly every culture has a Goddess of a textile/fiber art on the spectrum and modern day fiber artists are part of this long, rich tradition. 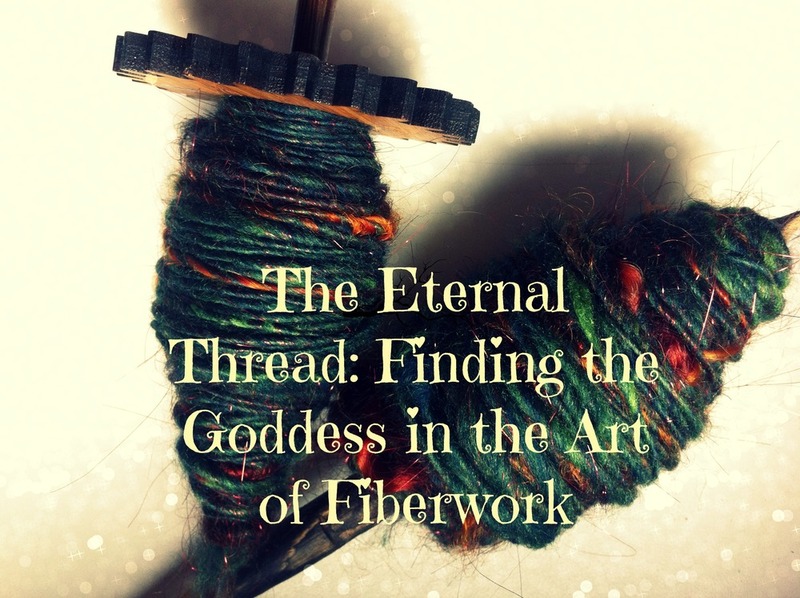 The Eternal Thread investigates the deep connection between the fiber arts and The Goddess, including: the archaeology of fiber art, the origins of spinning, weaving and knitting cross-culturally, and a selection of myths and folktales about spinning and weaving goddesses from various pantheons. A section of fun projects, visualization activities and even handmade herbal products to enhance your yarns and knitted or crocheted items are included to help weave the magic of the Goddess through your own fiber work. The Eternal Thread will deeply connect the fiber artist with their craft and create a long lasting link between the artist and the past. Course begins Friday, March 28th. Additional modules will be uploaded each week. The course classroom will be accessible only by a password you'll receive after enrollment. Each week a new module will be available in the course classroom. Each module will include written materials, videos and special projects. The projects are not required, they are there to help you get the full experience from the course. I've provided a variety of projects so that students who may knit but not spin, weave but not knit, can find something in each module they will enjoy. Goddesses associated with the Fiber Arts, modern spinning, weaving and knitting culture. PROJECT: Write your own myth, create a goddess of a fiber art and tell a story. Archaeological, ethnographic and mythological evidence. What lead us to start using fibers from animals, plants, minerals? When did people start "keeping" fiber animals? When did color play start? Playing with the color wheel, themes on different Goddesses. Develop your own colorway. Archaeological, ethnographic and mythological evidence. When did spinning begin? How has it evolved over time? What are some different methods of spinning across cultures? Natural plant dyes. Even if you do not spin, you can still do the project(s) for this module by purchasing a skein or two of undyed wool. I will provide a list of resources to procure what you need. Archaeological, ethnographic and mythological evidence. A look at weaving across cultures. Where did knitting come from? What have we learned, how are we connected to the past through our art? Live Chat party where we can share ideas, what we’ve learned, projects etc. Special Thank you Gift from me to you!